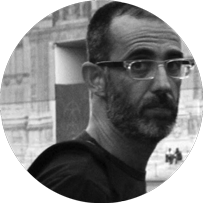 Federico Grazzini graduated in Architecture at the University of Florence in 1998; he then moved to London, starting out as a 3d modeling and visualisation expert for Virtual Artworks. He joined Alsop Architects in 1999, getting involved with a wide range of projects, from architecture, product and furniture design to masterplanning, and also in a number of international competitions. He helped developing the Alsop range of products and furniture, most notably for Alessi on the tea and coffee towers project in 2003. He is currently designing tableware and accessories for Alessi, still with Will Alsop. He sees his involvement with teaching as a complement to his work, something which is creatively inspiring and morally rewarding, helping him to push the envelope of his professional practice. He taught at the Università degli Studi in Florence, a at Brighton University, at IED (Istituto Europeo di Design) in Florence.